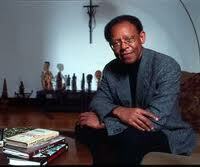 When I went to Professor James Cone’s lecture last Friday, I went in with an open mind. While I found it to be a very intriguing lecture and thought he did have some good and valid points, I do not feel that this blog post is the right place for me to express my opinion on Black Liberation Theology. Instead, I will discuss how Dr. Cone used instances from the Bible to express his point. Even before Dr. Cone spoke the speaker who introduced him referred to the Bible. He made a reference to exodus when he talked about the “promised land” that Martin Luther King Jr. spoke about. This promised land is symbolic to the social and economic justice that King felt was missing from the world. The speaker said that we have “deferred” from this vision and need to restore King’s true voice and ideals. While those were instances where I was reminded of instances in the Bible, Dr. Cone also made direct references to the Bible. He referred to racism as being America’s original sin. However, a lot of his Bible references from the New Testament. He used the parable of Lazarus and the rich man to make a point about justice to the poor and how the rich in America separate themselves from the poor. 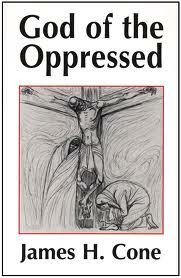 Also, he talked about how Jesus was crucified for standing up for the powerless. He then made the connection of Jesus, Malcolm X and Martin Luther King Jr. all being martyrs since they stood up for the powerless. While Dr. Cone and I may not see eye to eye on every issue, he did make some valid points. There is definitely still racism in America and a huge gap separating the rich from the poor. Hopefully, we can find a way to work together so that we can let “justice roll down like water, and righteousness like a mighty stream” for all. This entry was posted in Class Discussion, Miscellaneous Discussion, Uncategorized. Bookmark the permalink. Actually, this is a good forum to interact with Black liberation theology and some of the claims Dr. Cone made. Just because he makes them doesn’t mean they are correct!